Yavapai Humane Society’s Equine Program is an adoption-focused program for horses in need of rehabilitation. Every horse receives health care and training prior to being made available for adoption. The Equine Program is unique in that it provides life-saving services for horses with behavioral needs before matching them to their forever home. Our knowledgeable, professional staff ethically re-train horses using Equitation Science principles. Learn more about how our program works below. The Equine Center, located in Chino Valley, Arizona, opened its doors in June 4, 2016. It provides an innovative environment that meets the essential needs of equines, including: free movement with choice and variation in the environment via a track that parallels the perimeter of the property, constant access to hay which promotes better digestion, social housing and interaction with other equines, and comfortable resting areas and shelters from sun and inclement weather. Learn more about our Equine Center below. We welcome volunteers at our Equine Center! If you would like to get involved, please click on the “Volunteer” button at the bottom of this page, and we will contact you to schedule an orientation. Of course if you are not able to donate your time by volunteering, please consider making a financial gift today to help fund this important program. Click on the “Donate” button below to make a contribution. We serve 100s of pets each month. Every donation you make helps take care of a person’s new companion to be. Yavapai Humane Society is passionate about finding forever homes for the 3,000+ animals we rescue each year. Opt to adopt! Volunteers are critical to the work we do and they help YHS make a difference in the lives of animals and the people of Yavapai County. Information about taking care of your pet and how we can take care of your pet for you. If you are no longer able to keep your horse, or you feel your horse would do better in a different home, please consider relinquishing ownership of your horse to YHS. The fee for surrendering a horse to us is $50. In order for your horse to be a good fit for our program, she or he needs to be under 20 years of age and have no chronic lameness or disease. If your horse is over the age of 20 years and does have chronic lameness or disease, there are sanctuary resources that we would be glad to refer you to. 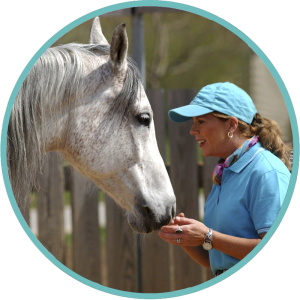 If your horse falls within these basic parameters, we will first come to you to do a basic assessment of your horse prior to acceptance in the program. If your horse is a good fit, and you feel comfortable going forward, we proceed with transferring ownership. At that time you may arrange for the horse to be transported to our Center, or ask us to come pick up the horse for a small fee. Are you interested in adopting a horse? We are looking for new homes for horses at the Equine Center. All YHS horse adoptions come with medical and training records, vaccinations, hoof and dental work, and all horses are parasite-free. Prior to adoption, our horses have undergone our ethical training program to learn basic behaviors on the ground and, if applicable, while being ridden. Our goal is to ensure a good match between each horse and their new owner and home. Download our Adoption Application here. Visits to the Equine Center are by appointment only. To set up an appointment please call 928-515-4947.